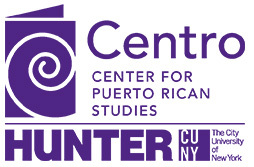 Centro is a research institute that is dedicated to the study and interpretation of the Puerto Rican experience in the United States and that produces and disseminates relevant interdisciplinary research. Centro also collects, preserves, and provides access to library resources documenting Puerto Rican history and culture. We seek to link scholarship to social action and policy debates and to contribute to the betterment of our community and enrichment of Puerto Rican studies. Edwin Meléndez is a Professor of Urban Affairs and Planning at Hunter College and the Director of the Center for Puerto Rican Studies. Staff at Centro are dedicated to understanding and preserving the Puerto Rican experience in the United States. Centro is a research institute that is dedicated to the study and interpretation of the Puerto Rican experience in the United States. The Center for Puerto Rican Studies is pleased to announce available opportunities that range from grants to fellowships. Centro has become the heart and soul of stateside Puerto Ricans, but there is much still to be done, and we can’t do all this without your help. Get general information and directions for The Center for Puerto Rican Studies and the Centro Library and Archives.